As the ‘new’ Dundee emerges from a number of striking construction projects, from the V&A Museum of Design to the city’s new railway station, Dundee Science Centre is inviting visitors to get to grips with inventive engineering and amazing mechanics. ‘Creative Construction’, which takes place on Saturday 13 May 2017 from 10am until 4pm, will shed light on everything from paper folding and 3D printing to the intricacies of the V&A build project itself. John Tavendale, Project Manager from Turner & Townsend, responsible for delivering the V&A Dundee project, will give family-friendly talks on the design, construction and purpose of the building. Talks will run from 11.30-12 noon, 1-1.30pm and 2.30-3pm. 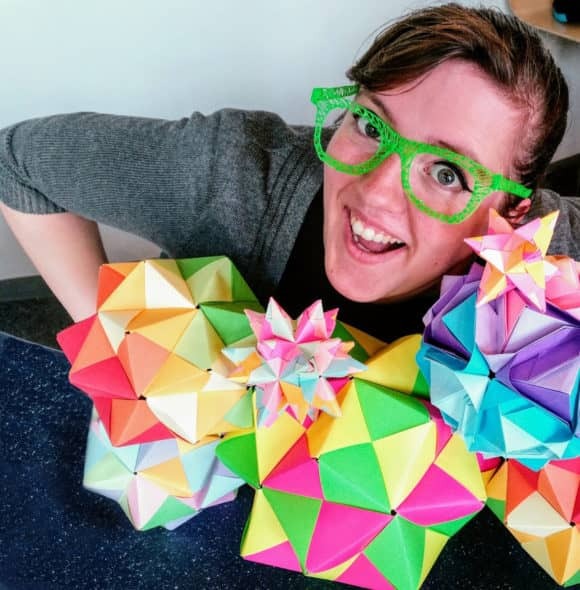 Meanwhile, challenge yourself to build amazing shapes and colourful patterns with Mairi from Mairi E Collins Jewellery whose modular origami workshops will introduce the art of paper folding, transforming a flat sheet of paper into an amazing 3D artwork. The 30 minute workshops will run hourly from 11am until 3pm inclusive, with drop-in origami activities between the sessions. Dundee Science Centre’s team will also be on hand throughout the day with 3D printing pens – come along and create your very own interesting objects, from flowers to funky frames! In what is the latest ‘Meet the Expert’ event at Dundee Science Centre, ‘Creative Construction’ is also part of Ignite Festival, which runs from 5-29 May 2017. The event is included as part of normal admission.